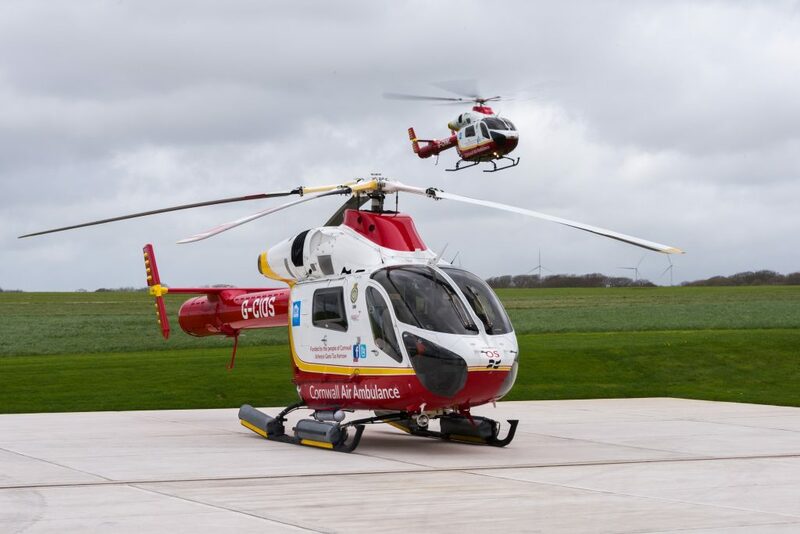 Cornwall Air Ambulance carried out 74 missions across the length and breadth of the county in January – 24 more than the same month last year. One of the reasons for the higher number of missions is the charity’s extended hours of service on the critical care cars, which accounts for 11 missions in January. A total of 47 missions were flown in the air ambulance helicopter and 27 were carried out using the charity’s critical care cars. Medical emergencies accounted for 46 missions, including 30 people suffering from heart related problems. There were also 28 missions to people who suffered serious injuries, including 13 road accidents, eight neurological emergencies and six missions to children needing urgent care. In the Portreath area, a cyclist was involved in a road accident and suffered a head injury. They were treated on scene and flown to Derriford Hospital for further treatment. Near Lostwithiel, a man suffered a severe leg injury after falling from a height. He received emergency treatment on scene before being flown to Derriford Hospital. In the St Austell area, a teenager suffered a head injury after being kicked by a horse. The crew attended and treated them on scene, before they were transferred to hospital by land ambulance. Cornwall Air Ambulance paramedic Thomas Hennessy Jones said: “It has been busier this year so far, with 13 road traffic collisions which is higher than average. Do please take care when you’re out on the roads, especially in wet conditions.